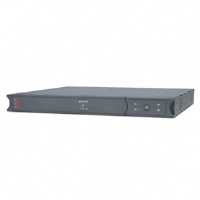 The CyberPower Smart App Sinewave PR1500LCDRT2U uninterruptible power supply (UPS) with LCD panel and pure sine wave output is Active PFC compatible for safeguarding mission-critical servers, telecom equipment, VoIP and internetworking hardware that require seamless pure sine wave power. Its full Automatic Voltage Regulation (AVR) boost/buck technology delivers a consistent and clean AC power, protecting connected equipment and preventing costly business interruptions. This UPS system is ENERGY STAR� qualified with patented GreenPower UPS� Bypass circuitry to save on energy costs by reducing energy consumption and heat buildup. 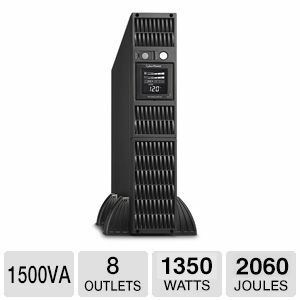 Protect your network devices with the CyberPower PR1500LCDRT2U 1500VA UPS!